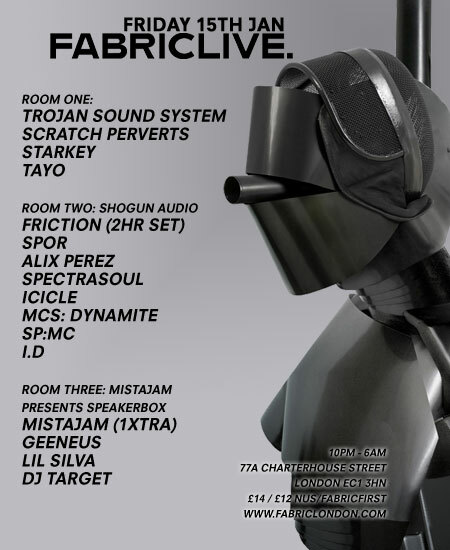 Bass-hoodlum Starkey hits Room 1 of Fabric on 15th January alongside Tayo, Scratch Perverts and the Trojan Soundsystem. Room 2 sees a Shogun Audio takeover and Room 3 is a Mistajam presents extravaganza. Usual thing for more information and tickets, head over to the Fabric site. As a warm up, the kind folks from Fabric have sent over Starkey’s recent mix for 1xtra.